What is business financing? There are companies whose goal is to offer an alternative to traditional financing and this can be the perfect avenue for many new businesses to pursue. A lot of small businesses turn to traditional lenders when they are ready to open up to business. They gather together their business plan and head to a bank in the hope that the bank will fund their venture. That means using their personal finances as security for many small business owners, and that's a terrifying proposition. The Best Finance Tips for Small Business are the ones that help them grow at minimal risk. But there is an alternative, and that's business to business finance. There are companies whose goal is to offer an alternative to traditional financing and this can be the perfect avenue for many new businesses to pursue. Business financing is basically a straightforward concept. Established businesses often want to invest in other businesses. They have the resources at their disposal to offer in many cases not only capital, but also advice. The companies offering the money see this as a good investment. There are companies you can turn to when you decide to look at business to business finance. Some are the companies themselves. You contact the representative of the company that specializes in business operations and get more information from them. They will explain what their qualifications are and what financial opportunities they are offering. They will have the best financial tips for their specific business. Another frequently overlooked aspect of business to business finance is when, so to speak, one business takes another under its financial wing. The smaller business will thrive by offering assistance in key areas such as marketing, resulting in increased income for the larger supply company. One area that could be used in IT support. Many new companies do not realize that they need a strong web presence. If the largest company provides continuous support in building and expanding the online market, their investment is increasing, the Internet is a key resource for any new business and financial arrangements in a business. Not all companies offer smaller companies direct business financing. That's why companies are created to process transactions and serve as proxies for larger companies. In this case of financing business, a larger company that wants to provide financial support to smaller businesses is contacting a company that provides essential financial services to these businesses. An agreement is concluded in which the larger firm provides financial support and secures its initial investment in a number of ways. One way to conduct such business in business transactions is the same way that traditional financing is used. Loan agreements are signed and the smaller firms use their capital to finance and return payments to the larger enterprise. A large company that works as an intermediary takes a proportion and provides additional support to ensure that the smaller business is successful, including business training and ongoing advice. 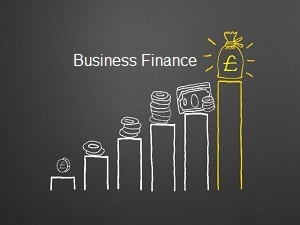 Business to business finance is an important player on today's financial markets. For any small business that wants to expand its value. Knowledge gained from the best financial tips will help every business prosper.